At JKA Associates LLC, a Atlanta CPA firm, we specialize in working with non-profit organizations. We do our utmost to understand your organization's purpose, operating procedures and distinctive characteristics in order to help you overcome operational issues, maximize your assets, and meet stringent reporting requirements. We have experience working with many different types of non-profit organizations including private and charter schools, charitable organizations, trade and professional associations, advocacy groups, membership organizations, education and mentoring programs, and more. 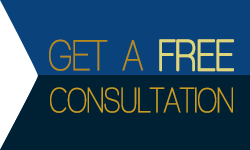 We offer Atlanta non-profits a free initial consultation. Call us today at (404) 736-9177 and ask for Jayda Abernathy to discuss your organization's accounting and tax needs.